Earlier in the year, an openly gay man on the college staff had been the victim of vandalism on the campus, with homophobic slurs scratched into the door of his vehicle. I asked the students: What would they have done had they known the identity of the vandal or witnessed the act? How would they have responded if they’d heard someone joking about it? Unsurprisingly, their responses were measured and politically correct. Yes, they would have reported the identity of the vandal. Absolutely, they would have intervened, either directly or by calling security. Of course they would have called out their peers on their bigoted and narrow-minded views. Their behaviors, they affirmed, would have reflected everything we had learned about moral leadership. That day my class of 29 students was expecting a guest speaker, an expert on leadership and diversity. Instead, I had invited a mathematics professor at a nearby state university who was also an improvisational actor. He would establish credibility and rapport with the class, but would lace his comments with subtle bigotry. The intent was for him to finally use language charged with blatant prejudice. Would students challenge his intolerance? This exercise was not intended for shock value but to model the kind of challenges students face in residence halls, workplaces, and communities. It was a chance for them to practice the moral fortitude they vowed they would show. The actor certainly seemed legitimate when he began his performance. He used “leadership and diversity” PowerPoint slides. He defined diversity beyond black and white. He claimed that tolerance was not enough, and he defined discrimination. Ten minutes into his presentation, the second act began. Different groups of people act differently, he told the class. Jews and Asians may not show up for sports practice because they care more about their coursework. Latinos will probably take time off to be with their large families, and young black students may be disrespectful. Pay attention to ability differences, he urged. Jews have higher abilities than Roman Catholics because the best and the brightest Catholics have gone on to be priests, and therefore are not reproducing; you must set the bar lower for them. A few students whispered to each other; many diligently took notes. No one raised a hand. Then, to my shock and that of the class, the speaker abruptly stopped. “I can’t do this,” he stammered. “I’m sorry, I can’t go on. I’m sorry.” He pushed open the door, leaving the students and me with uncomfortable silence. I explained that he was an actor I had invited to see how they would react to comments and beliefs we had agreed were morally reprehensible. I asked the students to write reflections on the experience. Then we began a group discussion. The students opened up about what they called “racist, discriminatory, and malicious” commentary. As they began to disagree with the speaker, most students said they stopped paying close attention. “I just tuned out,” stated one student. Later, after I told them the nature of the experiment, they began to question themselves. One student wrote in her reflection: “It kind of makes me mad and uncomfortable that someone could come in like that and make me brush off comments I didn’t agree with. It’s even sort of scary how easily someone can manipulate your thinking, even with things like diversity, which I consider an issue that I will not compromise [on]. Searching for answers, the students began an interesting conversation about the role of authority. Many saw a connection between the authority bestowed on speakers and professors and the authority of leaders in business, religion, and politics. As I planned the experiment, I struggled with the ethics of wielding my authority as a professor to manipulate students’ behavior. But after consulting with friends and colleagues, I decided that the potential benefits of the exercise outweighed my qualms. I hoped it would help to prepare my students for a world that often masks unjust practices with power. Will they remember this lesson in the future when they encounter bigotry from figures of authority? I don’t know. But I’m confident that our experience will have more staying power, and more meaning, than a lecture on how politically correct people ought to act. 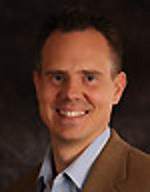 Daniel R. Kittle is director of the Center for Community Engagement at Wartburg College. This essay was originally published in the The Chronicle of Higher Education, March 4, 2012.